If you are my dad….no need to go any further :o) You’ll know soon enough! Father’s Day is ONLY 5 days away!! Are you prepared??? I’m working on it…luckily I have a few extra days, as I won’t get to see my dad or F-I-L until later next week. My dad is the strong, silent type. He is a good listener, an observer, & a thinker. He has taught me what it means to truly serve others & how to live out the gospel. He is a master contractor (although not for his “real” job). I’m quite handy because of it. I must credit him for my constant desire for home improvement around our place. Dad never wants for anything. Which makes holidays a little tough. But, he does like nuts. It was a very simple project. After picking up the peanuts at Publix, I cut some scrapbook paper & covered the label. The used my Silhouette to cut out the scallop-y one & the circle on top. 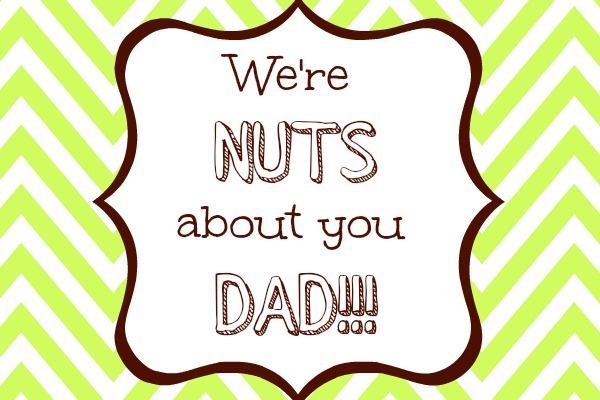 If you would like to download the “We’re NUTS about you DAD!” printable click here. Last but not least I added a little DIY Baker’s Twine. I hope he enjoys this simple snack! Thanks for the idea! Super cute. 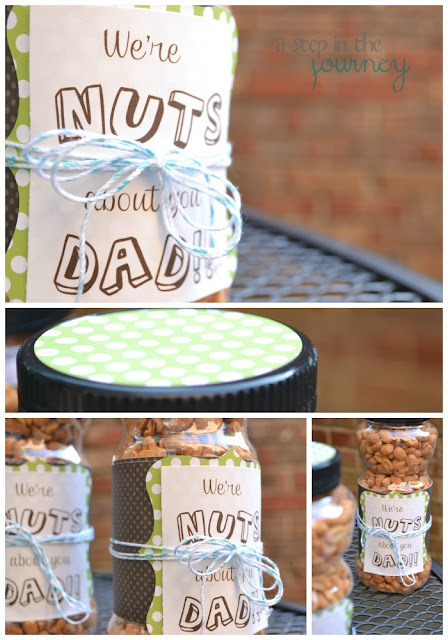 This is perfect for a quick but yummy gift! Pinned! How's it going?!?! Another AWESOME Idea! Crossing my fingers you'll share at my party! Saturdays at Seven! My husband would love this. He is much more of a salty nut person than a candy person. I just wanted you to know I featured you today on Show Off Saturday! I saw the same idea at a linky party and loved it so I'm doing it too. I love you labels.. really cute! Super Cute, gift idea. 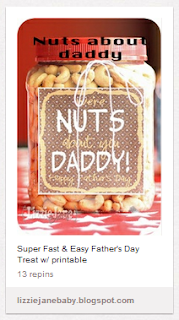 I may have to whip one up for my Dad at the last minute. 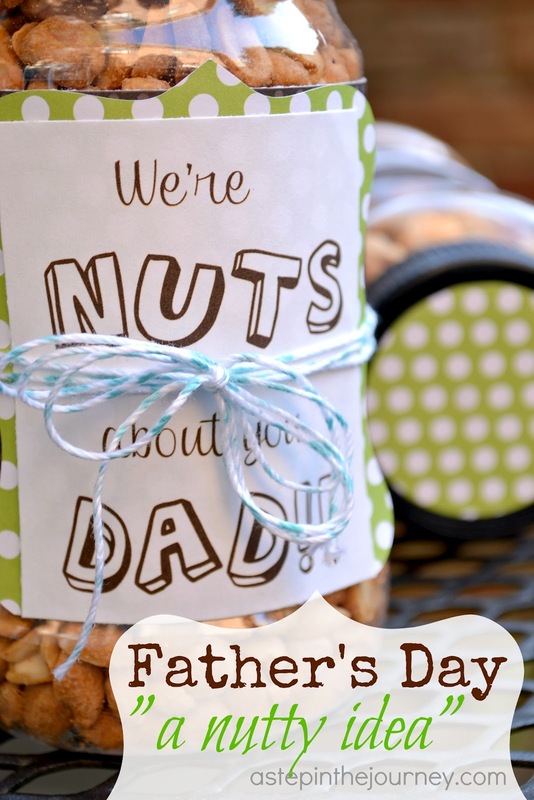 Thanks for sharing this post I believe you have given me the perfect present for my kids to give their dad!! I am your newest follower and hope you can follow back. What a great gift, you made it look so nice too!